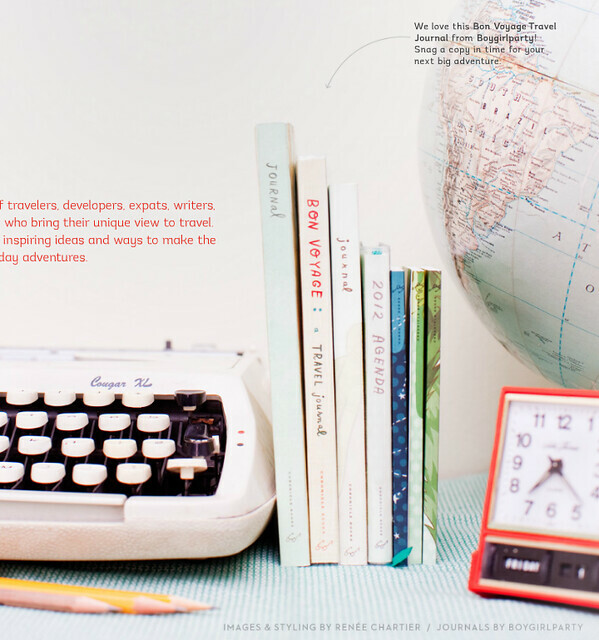 I JUST found out the scoop yesterday over at Little Brown Pen about Wayfare magazine and I flipped through the pilot issue of this lovely travel-focused e-mag about to make its grand debut this summer. Seems my friend Nichole knows (and blogged about) her meet up with the Prêt à Voyager blogger who works for Wayfare, Anne Ditmeyer (the magazine's art director) which is how I found out about it. 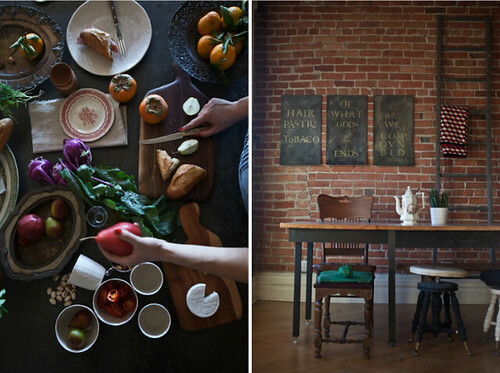 Good news travels fast thanks to wee little things called blogs and Nichole is always in the loop. She's SUCH a star. 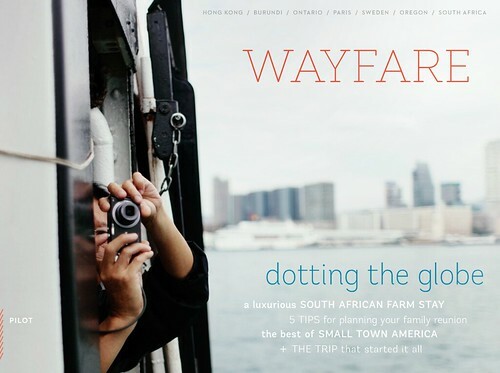 Wayfare is, in a nutshell, a more fancy pants travel mag meant to one up the cheesy newsstand variety out there since it's presenting itself as more than just a place to find generic travel destinations. 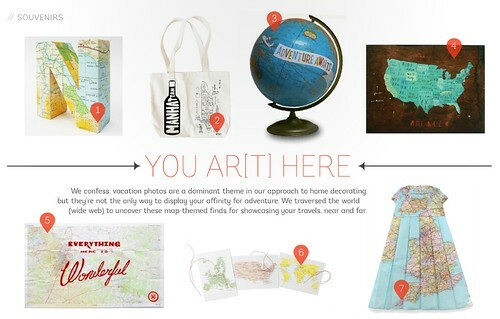 To me, Wayfare is all about embracing the wanderlust lifestyle that so many seem to have, especially lately. Most of us not only dream of travel but dream of leaving it all behind and relocating to our dream destination. It's funny though, ever since relocating from Boston to northern Germany, I've spent a lot of time discussing wanderlust with my friends here and in other European countries and unlike my American pals, a lot less of them are interested in relocating to a new country to start all over again. 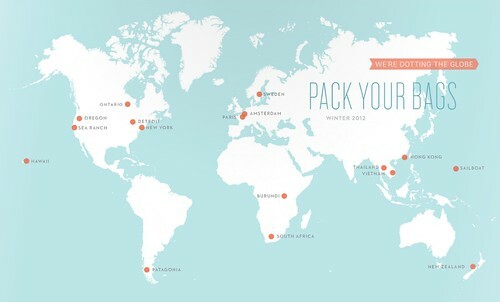 When I poll my American girlfriends it's like 8 out of 10 want to relocate (mostly to Paris!) and nearly all of them would if family and jobs didn't tie them to their current spot. If you have entertained the thought of leaving it all behind, feel like taking a virtual vacation, need new ideas as to where to travel or simply want to live vicariously through others, Wayfare promises to feed your wanderlust cravings with stories of daring souls who are out there doing their thing. 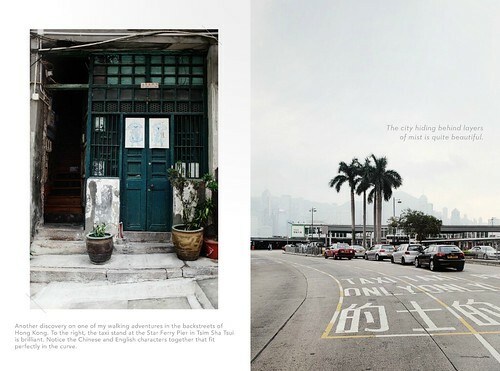 Wayfare is as much about travel and relocation as good presentation and well written text. Great layouts, good looking fonts and the fact that they go beyond theme parks, NYC, Paris, Vegas, London and Rome gives it a major thumbs up from me. Not that I don't like mags featuring top destinations but hey, it's cool to see what's going on in Burundi, Ontario and western Oregon for instance -- which their pilot issue just-so-happens to cover. So there you have it, another e-mag on its way to digital newsstands nearest to you. Check out their pilot issue HERE.